Screen printing has been around in some form for several hundred years. Today, this process is the most commonly used for decoration in the apparel industry thanks to it’s nearly universal application and versatility. There are several factors involved when printing, so each order is reviewed and the specific process determined. The process begins with separating the artwork into the individual colors to be printed. From there, transparent film positives are made. The screens are coated with a light-sensitive emulsion that is used to create the stencil, very similar in process to the way traditional prints are produced in film photography. Once the screens are prepared they are lined up one at a time on press until the alignment is right, and this is where the actual screen printing begins. 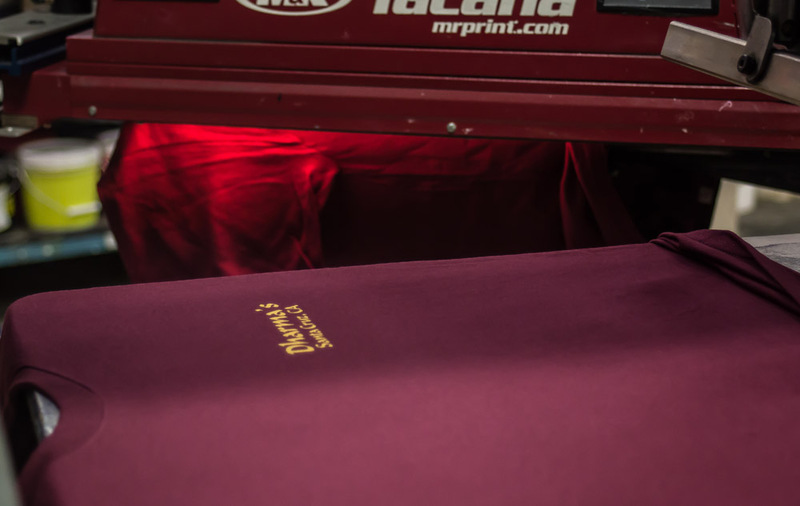 Once the garments have been printed, they are put through a large conveyor dryer that cures the ink, ensuring the print will stand up to repeated wear and washes. If there are multiple images going on different locations for garments, this process is repeated for each. There are many different types of ink that can be applied, depending on the desired “hand” of the print, which is a term used for the overall feel of it once it is on the shirt. Plastisol ink is he most widely used type because it lends itself to most application needs. Other inks included water based, water based discharge, and silicon, each lending itself to different applications. Among the ink types, there are also specialty inks. Glow-in-the-dark, metallic, and reflective in are just a few examples of what can be printed. 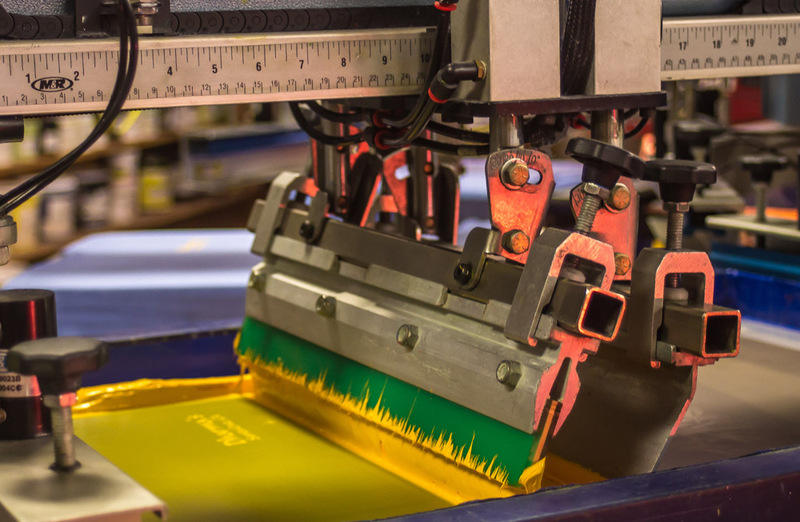 Using our expertise, we can help guide you in the right direction for the type of screen printing you are looking to have done. The equipment we have in our shop is some of the best in the industry, and coupled with our experience, we’re sure you’ll be satisfied with anything you order from The Print Gallery.